White colored Solar powered gutter light. 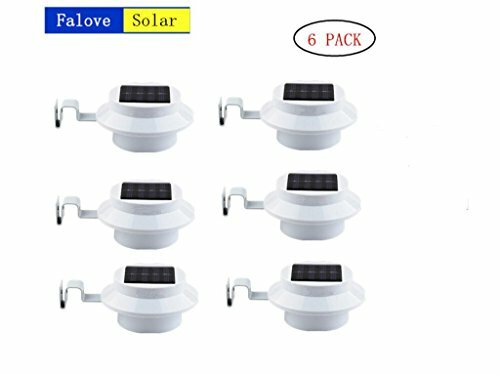 Outdoor solar energy saving light. Environmental and green. Hangs from any gutter systems, walls, sheds, fences, any flat surface. 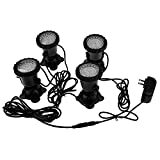 All these solar light are very easy to install and use. Very convenient. Intelligently identify daytime or night. Automatically lights up at dusk and turns off at dawn. Approximately 3 inches by 5 inches in diameter. Hangs from any gutter systems, walls, sheds, fences, any flat surface. All these solar light are very easy to install and use. Very convenient. Intelligently identify daytime or night. Automatically lights up at dusk and turns off at dawn. Water Resistant, heatproof and weatherproof. Adopt latest improved solar panel, provides better performance and prolonged usage time. Features: Brand new and high quality. This solar power 3 LED fence light is very popular and green, energy-saving. It can be installed under the roof or fixed on the fence in your garden. Solar panel absorbs sunlight into electrical energy stored in rechargeable battery. When evening comes, the solar fence light will automatically send out light. 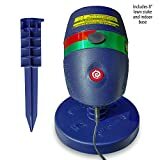 This solar fence light gives you a good view and safety of your garden at night. Specifications: Solar Panel: Polycrystalline silicon 60*60 2V/100mA Battery:1.2V/1200mAh AA Ni-MH Light Source:3pcs（Φ10*11mm/round head/transparent/white lightLEDX3） Lumens:21LM Color temperature: 6500k Working time:8-12hours Charge time:4.5-5h Waterproof level:IP44 Material:PMMA,aluminium alloy Color: white IMPORTANT: 1. Install the solar product in an area where it can get direct sunlight. 2. Leave the switch to "NO" position. 3. Select an outdoor location away from other light source at night such as street lights. It may cause the product not to turn on automatically at night. 4. Duration of light depends on solar product's level of sunshine exposure, geographical locations, weather conditions and the hours of daylight. Note: 1. Keep the solar panel clean. 2. If solar product does not light up after it has been used for around 8-12 months, replace the rechargeable batteries as they may be weak or worn out. (battery 1pcs AA 1.2v 1200mah,Ni-MH or same equivalent type as recommended must be used).